It was a cold winter day in rural Minnesota as four ladies gathered to remember their college friend, Jodi Huisentruit. Jodi’s sister Joanne Nathe was also there. She has been the family spokesperson since the terrible tragedy of Jodi’s abduction in June of 1995. This is the first time that these ladies have gotten together since 1995. They specifically talked about what they remember about Jodi. Each person holds the memories of Jodi close. In addition to Joanne, friends Beth, Amy, KT and Kelly were a part of the group. The last names of the attendees are being withheld. Television station KGAN-TV from Cedar Rapids were a part of the conversation and interviewed the women. As we sat in Amy’s comfortable home, one story followed another. The mood was light-hearted as this is how they wanted this session to go. Amy got up from a couch and walked to the television set. She popped in a VHS tape that contained nearly an hour of Jodi singing and dancing. 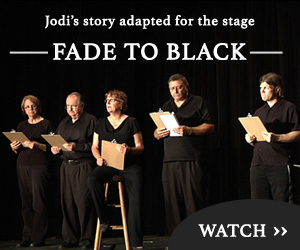 They all agreed that the image was Jodi and the sound of her voice brought everyone to tears. Even as the tape ended, the ladies sat almost unsure as to if they should clap or cry. Most of them clapped but the tears shed meant a lot to Joanne. Up to this point many of them remarked that because of this gathering they got to know Jodi much better. The years since the abduction hasn’t done anything to dampen the emotions experienced by everyone on this day. As the group stood up to leave for the day, you could hear the ‘thank you’s’ from everyone and a promise that they will meet again to keep the spirit of Jodi alive. It was a long, quiet way home for Gladys and me, but we felt as though we were permitted to enter an extremely private afternoon. And we feel better for being a part of such a great experience.